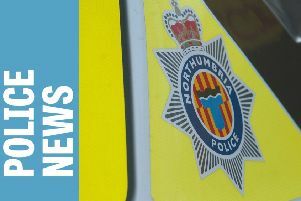 Northumbria Police are dealing with more incidents of hate crime against transgender people, with a charity warning this is “just the tip of the iceberg”. The latest Home Office figures show 44 incidents were recorded by the police during the 2016-17 financial year, up from 24 in 2015-16. Five years earlier, when this data was first published, one incident was reported. Over the same period, 243 people reported homophobic hate crime to Northumbria Police, an increase of 96% on the year previously. However, the charity Stonewall, which campaigns on LGBT+ issues, believes this is just a fraction of the true number of trans people who have experienced hate crime. A Stonewall spokeswoman said: “These worrying statistics are a wake-up call. “It’s 2018 – lesbian, gay, bi and trans people should feel safe and no one should face hatred simply because of who they are. The Home Office said in its report that it believes these rises are due to improved reporting, and do not necessarily genuine increases in hate crime. Northumbria Police and Commissioner Dame Vera Baird QC said: “Let me be absolutely clear – there is no place for hate crime in Northumbria. It’s really important that all victims feel safe and supported enough to report hate crimes – I want every person who faces hate crime to report it. We have specially-trained officers and staff in place to offer all the support that is needed. Assistant Chief Constable Ged Noble has also reiterated the force’s commitment to tackling hate crime. He said: “It is wholly unacceptable to abuse someone because of their race, age, sexual orientation, religion, disability or any other protected characteristic and we will stand together to stop this sort of prejudice. “Hate crime is something which has been under-reported for a long time, but we have worked extremely hard to give victims the confidence to come forward. “Our officers have an excellent understanding about what constitutes a hate crime and the additional support that can be provided to victims of this type of crime. Stonewall’s spokeswoman commented that according to its research “four in five anti-LGBT hate crimes go unreported, with younger people particularly reluctant to go to the police”. The research, by YouGov, also shows that trans people are more than twice as likely as to experience hate crime than other members of the LGBT+ community, meaning these figures could be vastly under representative. The spokeswoman added: “These statistics are the real life consequence of a society where transphobia is everywhere – from the front pages of newspapers, to the gates of the school yard. “Stonewall works with police services across Britain to ensure all LGBT people feel more confident and comfortable reporting abuse. Overall police recorded hate crime increased by 70% in 2016-17, which the vast majority of the incidents classified as due to race.